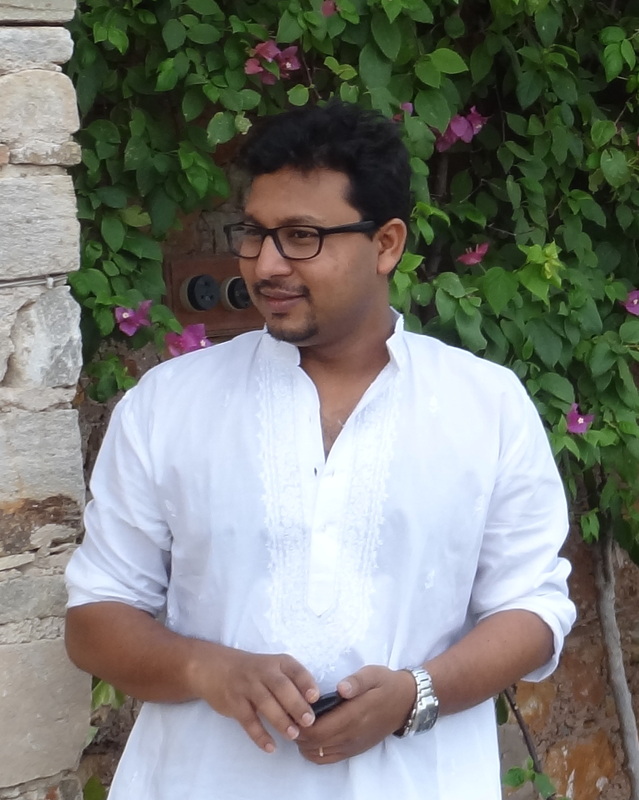 Since, now I am mostly associated with process industry in my new assignment, I usually have to visit lot of diversified industry in different part of country. I am majorly responsible for getting business from industries such as Engineering Plastics, Specialty chemicals, Detergent industry, Food processing, Noodles & Chocolate industry, Grain handling, Fertilizers and Pharmaceutical. Today I got opportunity to visit one of the major Cigarette manufacturing companies based in south western part of Uttar Pradesh. There they were manufacturing four brands of cigarette (I don’t want to disclose the names), one of which is especially famous among rich class of society and considered as a luxury brand in cigarette market. (I will give you hint – one of the Bollywood star used to advertise this brand in early 90’s). Factory was completely dust proof with climate control system. Whole factory was fully automated with guarantee of not a single human touch at any stage – right from receiving of raw material to packing of boxes. Raw material is received in paper boxes (generally supplied from south India) and is loaded on moving rollers at receiving point through fork lift. Raw material is feed into input dump station from where it is pneumatically conveyed for processing. Main component of any cigarette is tobacco leaf & sometimes tobacco stems. In addition to tobacco other ingredients are also added depending upon style and flavor. The most common types of cigarettes smoked around the world are blended cigarettes and Virginia (or “flue cured”) cigarettes. Broadly, each style accounts for half of the world’s consumption of cigarettes. 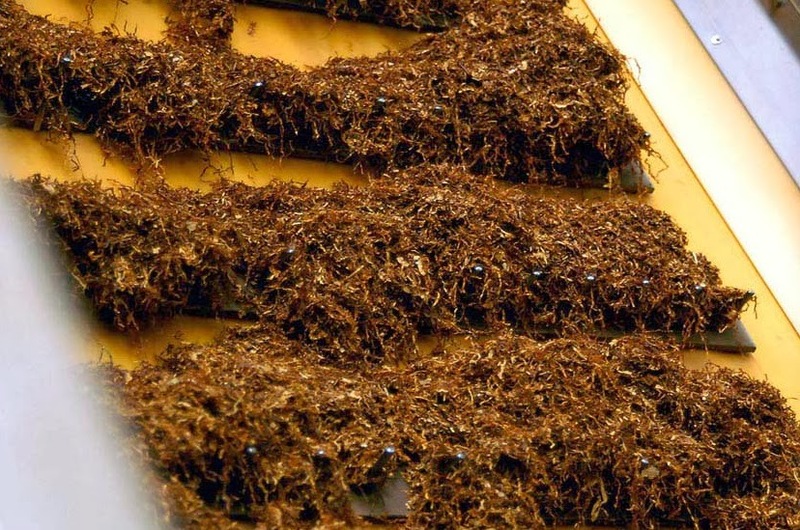 After the tobaccos are blended together, the tobacco blend is finely cut before it passes through a drying cylinder to reduce moisture. When the moisture is at an optimal level, the blend is ready for cigarette manufacturing. 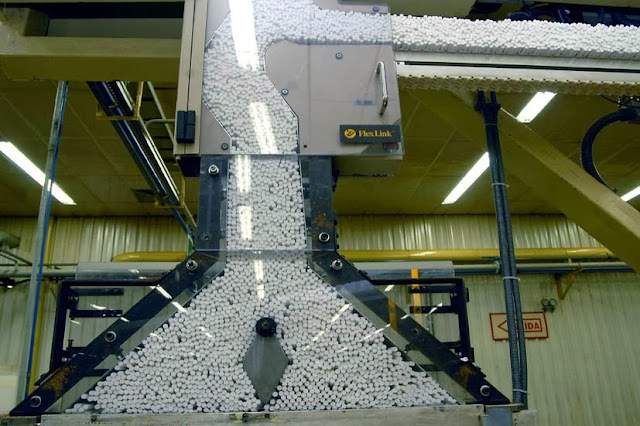 Cigarette manufacturing is a fast-paced, highly automated process. Every minute up to 20,000 cigarettes can be produced. The process begins by creating one long cigarette, called a 'rod.' To produce the rod, a spool of cigarette paper up 7,000 meters long is unrolled and a line of tobacco is placed on it. The cigarette paper is then wrapped around the tobacco, forming the rod. Machine slices the super-sized rod into shorter pieces, inserting filters at both ends. The filters are then connected with 'tipping paper'-the paper consumers see wrapped around the filter tip of a cigarette. 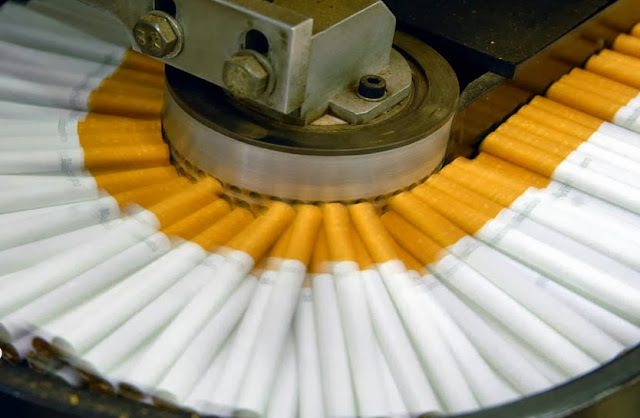 Each shorter rod is then cut in half, producing two filtered cigarettes. Every cigarette is checked at three different stages for the quality of its construction. Individual cigarettes are sorted into pack-sized groups and wrapped in foil to preserve their freshness. The pack itself is assembled around the cigarettes. The finished pack is then wrapped with protective film, which also serves to preserve the cigarettes' aroma and freshness. The packs are placed in cartons or wrapped and placed into a master case for shipment to the marketplace. 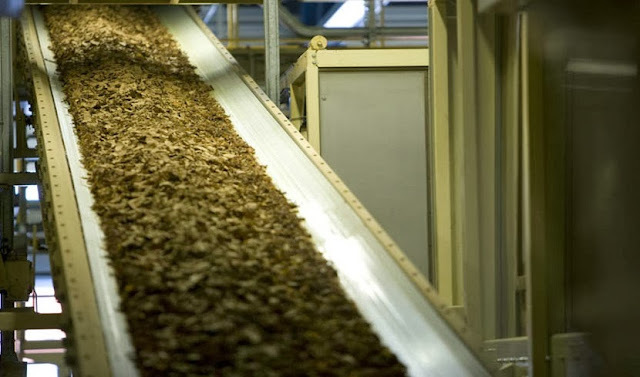 Developing Lean phase pneumatic conveying system for transferring tobacco leaves. Developing system & mechanism to ensure accurate ratio of different ingredients. Flavoring and seasoning of tobacco. De-dusting & filtration technology for complete factory.